Told you I'd be posting some more goodies! 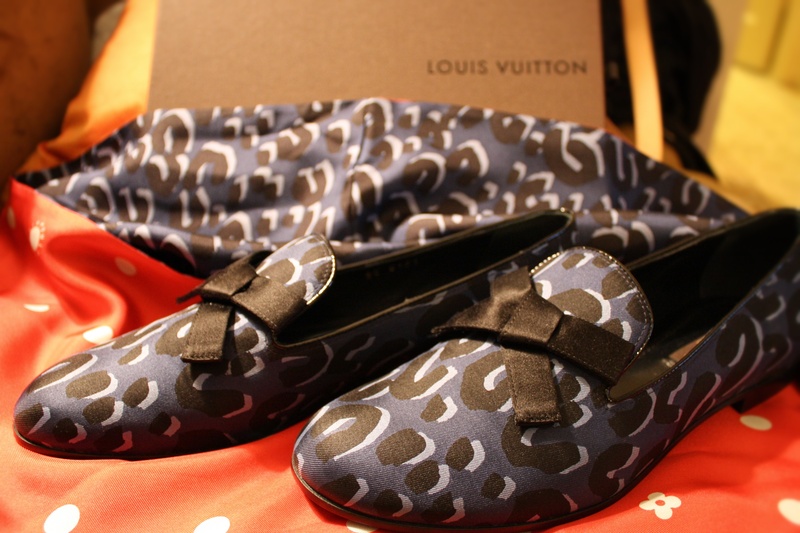 These shoes are from the LV 2012 Cruise collection, from a look inspired by Sofia Coppola. 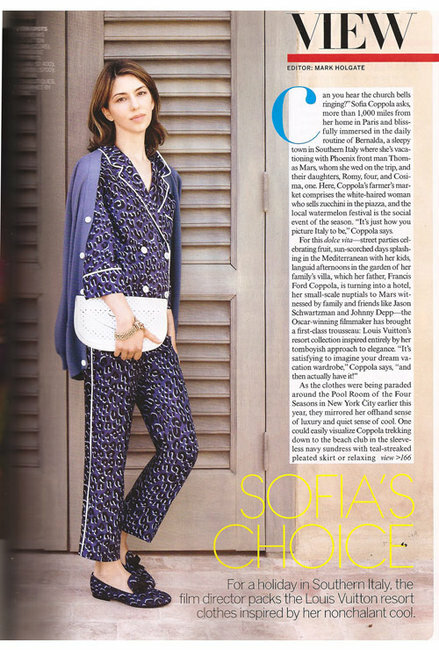 As you can see, Coppola adorns this look in a loungewear ensemble, but these shoes are totally meant to be out-and-about in--observe said matching motorcycle helmet in the Lookbook picture. The shoes are also available in red and brown Sprouse Leopard. Don't forget about the snood! This type of snood (but different style) is what current female Louis Vuitton SAs adorn as part of their uniform. Very eye-catching. It will look stunning with jeans or a skirt this spring--and don't forget to tie it all in with the shoes! What do you think of Coppola's influence on the Cruise 2012 looks? Do you like Sprouse Leopoard? Let us know!